With 13 schools bargaining with seven operators, charter educators are demanding fair pay and benefits, wraparound supports for students, adequately resourced classrooms. CHICAGO—CTU members in charter schools have won critical contract victories against management at UNO/Acero and CICS in the last three months—contracts that provide students with the classroom resources, staffing and protections every public school student deserves. But CTU educators at thirteen additional charter schools run by seven different operators have yet to reach agreements with the seven charter operators who control those schools. Educators are tired of management stalling at the bargaining table, and will announce strike vote dates against a number of those operators at a 5PM rally and press conference on Monday, March 25 at 111. W. Monroe St. in downtown Chicago. The board member of Instituto, which runs two unionized charter schools and has yet to settle a contract with its educators, is holding its board meeting at that location. Educators are demanding adequately resourced classrooms, fair pay and benefits for low-wage teachers and support staff, and wraparound supports for students. The CTU’s rank and file educators in charter schools are seeking to set new standards for charters operators across the city, and hold the industry—which has skated by with little oversight or accountability for years—to higher standards. 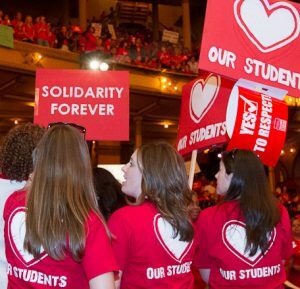 Better standards in the charter space also bolster the CTU’s bargaining demands with CPS for smaller class sizes, better pay and benefits, and adequate staffing in more than 500 district-run schools. 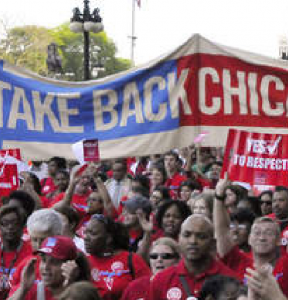 Monday’s strike authorization votes will align strike actions across multiple employers, and bolster the CTU effort to ensure better educational experiences and outcomes for all Chicago public school students. After Monday’s rally and press conference, CTU educators at two schools run by Instituto will attend the charter operator’s board meeting to demand more resources and supports for students at IHSCA, the Instituto Health Sciences Career Academy, and ILJA, Instituto Lozano Justice Academy, named for beloved community activist Rudy Lozano.